Home » Archaeology » Silver medallion 2nd c. BC. Silver medallion 2nd c. BC. Silver medallion 2nd century BC, excavated in Sisian, Syunik region of Armenia. Depiction of a Golden Eagle clutching some type of wild cat, most probably a leopard. 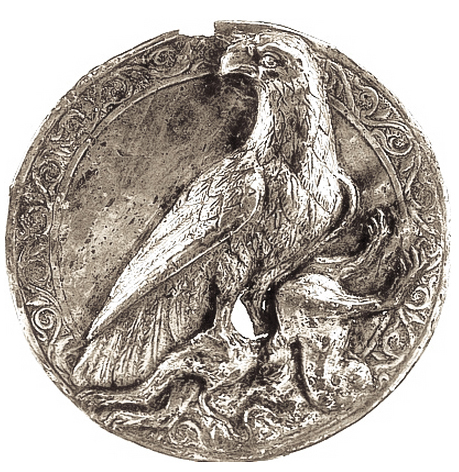 The symbolism of the Golden Eagle was important in pre-historic motif’s on the Armenian highland, as well as many of the Armenian Dynasties of the the old, this is a depiction from the Artaxiad Dynasty, where King Tigran II the Great hailed from, linked to the Yervanduni (Orontid Dynasty). Previous Article Armenian Reliquary 1293 AD.